Congratulations newlyweds! 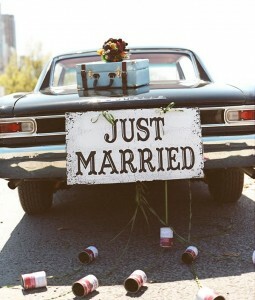 You have now been hitched and now here comes the next big step, moving in together. These tips should be helpful for you next big step. These tips can also be for newly engaged couples or couples who are just co-habiting as well. Where are you moving too? If you’re a newlywed hopefully this has already been figured out way before your big day. Are you moving into your significant other’s place, are they moving into your place or are the both of you moving a completely new place all together? If you are you moving into a new place together, make sure you sort out if you’re renting/buying. Budget- budget for your move, especially if you are planning a big wedding budgeting is real important. Even if you’re not having a big wedding it’s still important to budget. What You Can Keep- Moving in together into a new place with your significant other is exciting. But there are some things you might get to keep and other things you may have to part with. It’s always good that each of you should have your own space for certain that’s just for you. Inventory- Make a list of all your possessions (before you move in) and also make sure your significant other does also. That way you can figure out what you need and what you do not need. After the list, you might find things to add to your wedding registry if you are registered somewhere. Boundaries & Bills- Will everything be split down the middle, will only one person be solely responsible for the bills or will you guys pick who will pay which bill? Clean- Moving in together, you might discover habits you may not like about your significant other and vice versa. Who cleans what, will there be a schedule etc. Compromising in some cases can be the best solutions, especially when it comes to cleanliness. Styles- If you’re lucky, you and your significant other may have the same taste in furniture and décor. For some people there might be some sacrifice and compromise. Or if there is enough money left over (rather that’s selling old things etc.) start off fresh with new furniture; find something you’ll both will like. Appreciation- Make sure you appreciate each other, sounds simple but it is something that can lost in translation over time. Enjoy each other and make your home a happy home! Moving in together and you need movers for your next big move? Contact Garrett’s Moving and Storage at 972-487-5843 or visit our website at www.garrettsmovinginc.com. This entry was posted in Moving Stories and tagged big move, bride, dallas movers, Dallas Moving Companies, Dallas Moving Company, groom, house warming, just married, marriage, moving, moving companies, moving company, moving in together, new home, newly weds, relationships, tips, wedding. Bookmark the permalink.